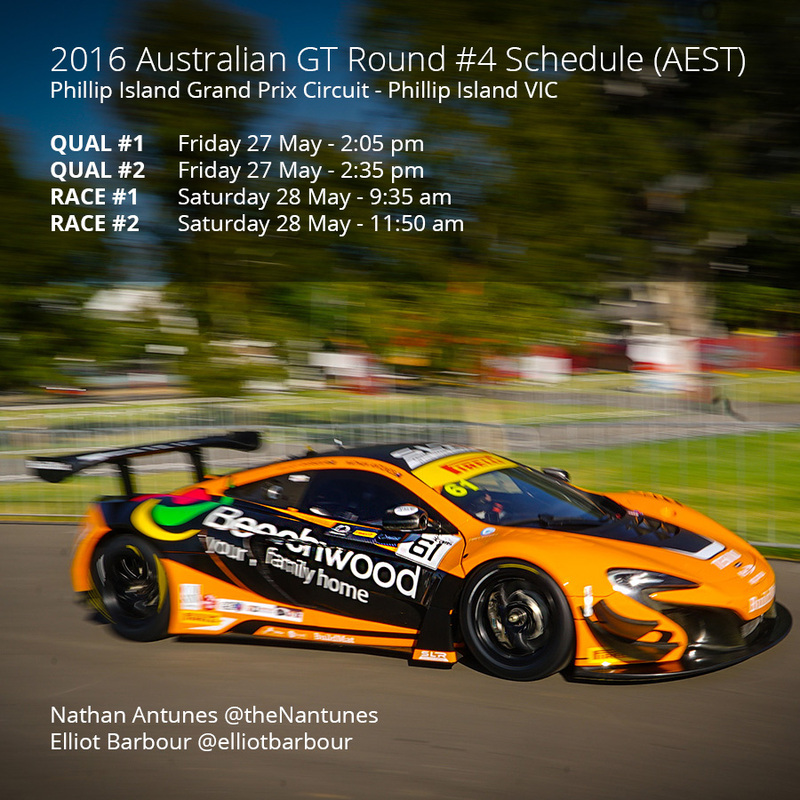 I’m at the Phillip Island Circuit, preparing with my co-driver Elliott Barbour to challenge Round 4 of the 2016 Australian GT Championships this weekend 27-28 May at the Shannons Nationals, in the Beechwood Homes/SLR/BuildMat McLaren 650s GT3. Download and share the schedule image above and watch the live stream of the weekend at Motorsports TV or on your mobile device with these free apps. Follow me on Twitter and Facebook for the latest updates.